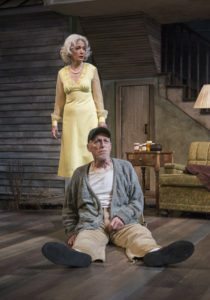 Buried Child, the surreal Pulitzer Prize-winning drama by Sam Shepard, is a difficult play to watch. Not because so much is happening, but because so little is happening. This one is a slow burn: we are introduced to the world’s most dysfunctional family meticulously, over the course of the first two acts. (There are three, including two intermissions, which is at least one too many. It was done on Broadway with none; eliminating one here would tighten up a long evening.) The characters are developed deliberately; it takes time to get to know them. Director Kimberly Senior’s languid pace helps to give them the chance to grow as it helps the audience to assimilate into Shepard’s story of an Illinois farm home broken by time, bad luck, modernization, and secrets. The pace is established in the first scene, before there is even any dialogue, as Larry Yando (as the patriarch, Dodge) sits on his couch watching television with the sound off, occasionally taking a drink from a hidden bottle and falling into a coughing fit. Yando establishes from the start that this is a forlorn man; if he once was industrious and energetic he no longer is anything but a carcass waiting to be. It is rare to see a man so completely dominate scenes with hardly any movement at all, but Yando achieves this: Dodge is practically inert, yet Yando is almost always the center of attention. It is a masterful acting job. Dodge has become what he now is due to the breakdown of his farm and his family. Several times he mentions that he has not planted since 1935, but it is easy to sense that the rise of the farming industry has a lot to do with his life falling into the sere. 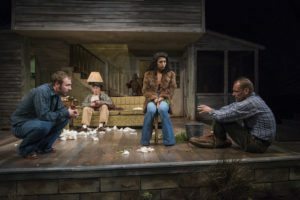 As the farm deteriorated over time into the shambles of a home it now is—Jack Magaw’s set even has a large crack running across the center of the floor, as if an earthquake has ripped the house apart—so too his family has fallen apart. His wife Halie (Shannon Cochran) now spends all of her time upstairs, out of sight of her husband and his ever-present TV, prescription drugs, and alcohol. In fact, the entire first scene takes place with Halie off stage; Cochran has the not so easy task of establishing a character by voice alone, and she succeeds. 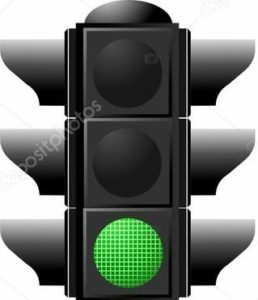 Halie is not just living a separate life from her husband, either; she is cheating on him with the local minister (Allen Gilmore), a man of God whose moral compass is somewhat askew. Halie and Dodge have had three boys, one of whom (Ansel) died under odd circumstances but is venerated by Halie, who remembers him as a basketball star and war hero (though he was neither). The other two, still living, are as broken as the family and the farm. Tilden, the oldest, spent some time in prison in New Mexico, and something happened to him that has caused him to lose some of his former faculties. Mark L. Montgomery plays him as a fairly genial, childlike shell of a man, someone who is quick to frighten and finds his joy bringing in vegetables that he claims have grown in the back yard; though both of his parents state that nothing grows out there, Tilden keeps appearing with armfuls of corn and carrots. Montgomery’s performance here is brilliant: he is a blend of Noah Joad and Darl Bundren; we never quite know what he truly knows and doesn’t know, but he is clearly not quite there. The third brother, the menacing Bradley (Timothy Edward Kane), is physically broken, having lost a leg, and seems to want to take that out on his family and the world. Kane is terrifying in a scene in which he forces a young stranger to allow him to put his finger into her mouth, but Bradley is a typical bully and Kane is also excellent when the tables are turned and he becomes the victim. That young woman is one of the other two characters in this bizarre, at times hilarious and at times terrifying drama. She is Shelly (Arti Ishak), the girlfriend of Tilden’s son Vince (Shane Kenyon). The two are on a cross-country trip from New York to New Mexico, where they believe Tilden to be, and stop to see his grandparents, whom he has not seen in many years. The two exhibit playful attitudes at the start, but this quickly ends when neither Dodge nor Tilden even recognizes Vince, and in fact they insist he is not related. This disorienting nightmare scenario eventually leads Kenyon to a powerful drunken monologue accompanied by much bottle breaking and destruction. Shelly, meanwhile, has her own meltdown when Halie comes home and sees her as an intruder. Ishak plays the role as unassumingly as possible for a girl in this outrageous circumstance, but when things really break down in the household she is as hysterical and out of control as Vince later becomes. Senior pulls these outstanding performances from her cast as she highlights an American Dream that has fallen apart at the seams. The family’s secret is devastating, but one gets the feeling that this family would have been doomed with or without it. Shepard has the audience often laughing at them, but he shows us the utter dissolution of one family’s expectations. It’s a difficult play to love, but a masterful piece of writing. 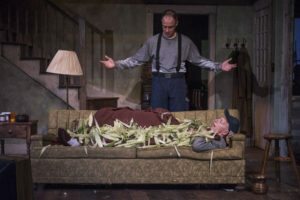 Buried Child is infrequently revived due to its difficulty, but Senior and her cast are up to the task and make this a powerful, memorable experience. 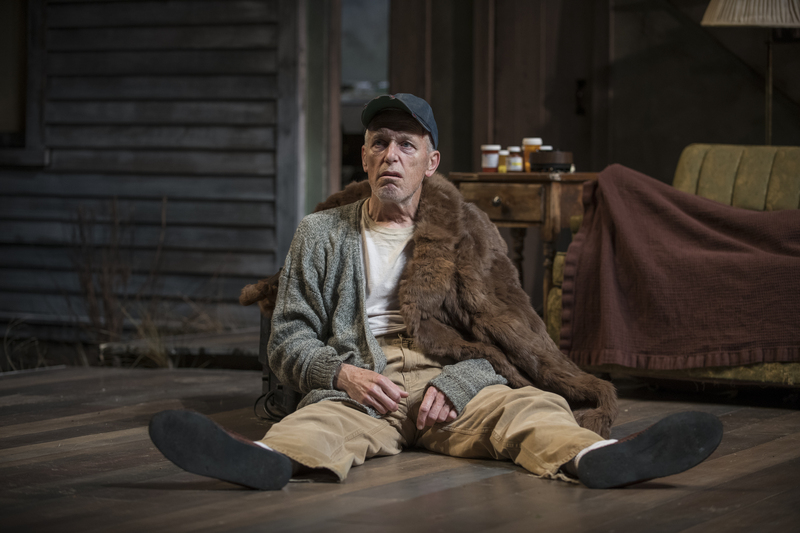 Buried Child is now playing at Writers Theatre, 325 Tudor Ct, Glencoe, until June 17. 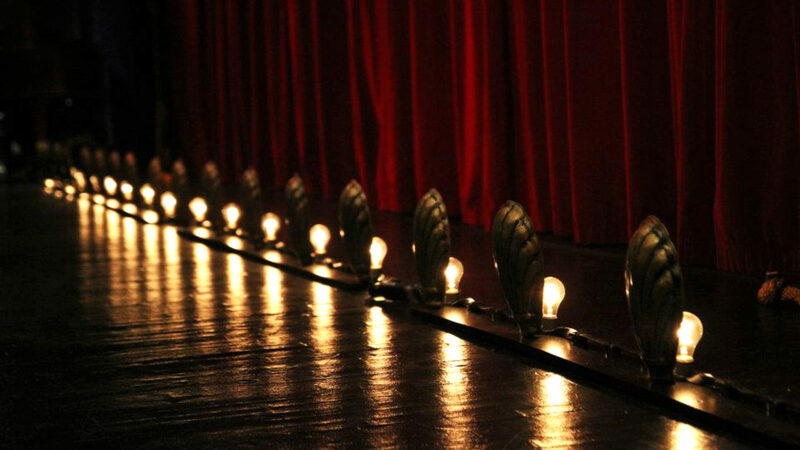 Performance times vary; check the website at Writers Theatre. Find more information about current plays on our Current Shows page and at theatreinchicago.com.